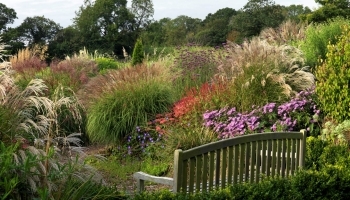 Pre booked groups of 10 or more can visit the garden at a discounted rate of £7pp. 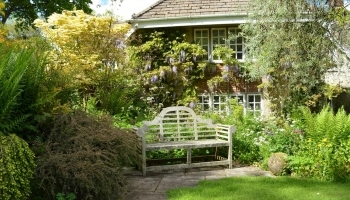 Guided walks can be arranged around the garden conducted by the owner Mary Benger, who has created the entire garden. A meeting room is also available which can accommodate 40 people for lectures etc. Mary has a variety of talks based on her 50 years at Burrow Farm Gardens which she gives to many gardening groups in the area, particularly in the winter months. Tea and coffee, snacks, light lunches, cream teas and set lunches are all available in our Tea shop which can easily accommodate a coach full of people. Many of our visitors like to enjoy one of our classic Devon Cream teas having walked around the garden before visiting the Nursery where they can purchase many of the plants found within the garden. 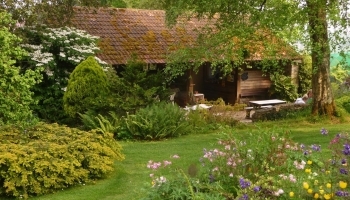 We can easily accomodate coach parties of all sizes making us the ideal attraction for gardening holidays, garden clubs or any other kind of coach that may just want a beautiful location to stop for refreshments. We recieve coach parties from all over the world and have a large tea room offering light lunches and cream teas as well as tea, coffee and a selection of delicious cakes.